Boeing has recently awarded its best suppliers. For the second year in a row, Bucher Aerospace is amongst the highest performing Boeing suppliers. The Performance Excellence Award is Boeing’s recognition “for achieving excellent supplier performance”. 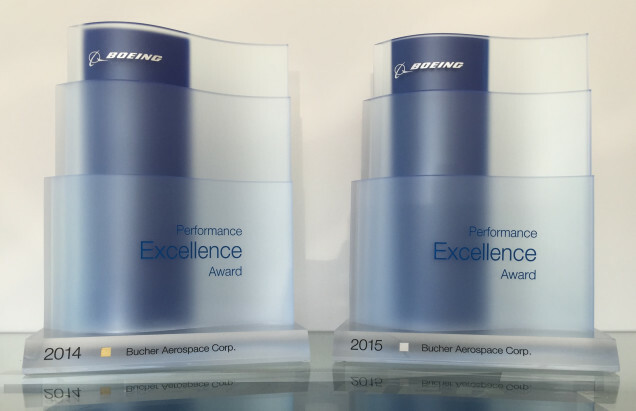 After gold in 2014, Bucher Aerospace has maintained a silver level of performance in 2015. We are proud to see the hard work of our great team being noticed by our customers. Together, we will continue to pursue our path of excellence, providing highest quality products on time to support our customers, the most distinguished and successful corporations in their industries, to keep and strengthen their market position.